From The Plains: Take Rt.55 toward Marshall. Turn left on Old Stockyard Rd. We are on the left, just before the stop sign at Winchester Rd. From Gainsville: Take I 66 west to exit 28. Turn north (right) on Rt. 17 for 1/2 mile. 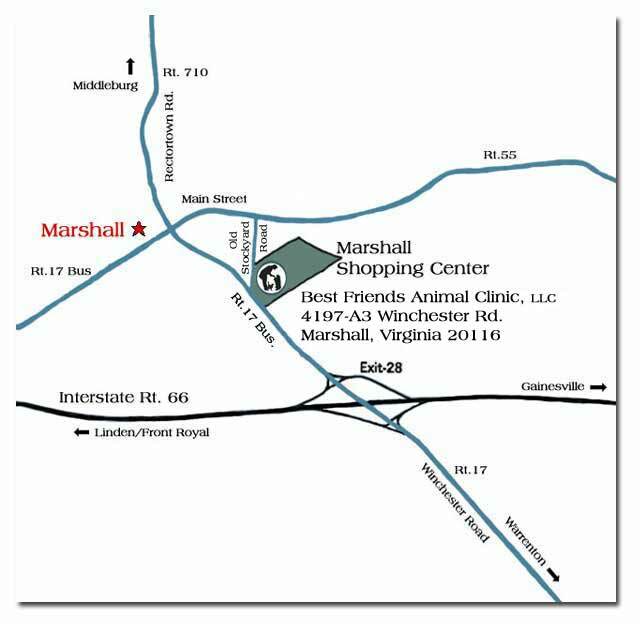 We are on the right in the Marshall Shopping Center. From Warrenton: Take Rt.17 north 11 miles. We are 1/2 mile past I 66 on the right.